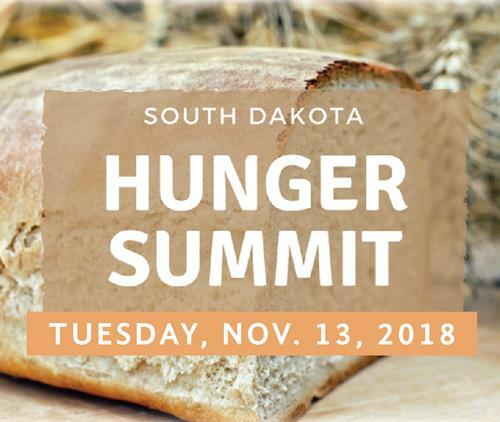 The South Dakota Hunger Summit’s focus this year will be food sovereignty – people’s right to healthy and sustainable food. The event is free and open to all, beginning at 9:30 a.m.,Tuesday, Nov. 13, in the Sherman Center at Dakota Wesleyan University, Mitchell. Registration is encouraged. Nov. 13, 9:30 a.m. to 1:30 p.m.